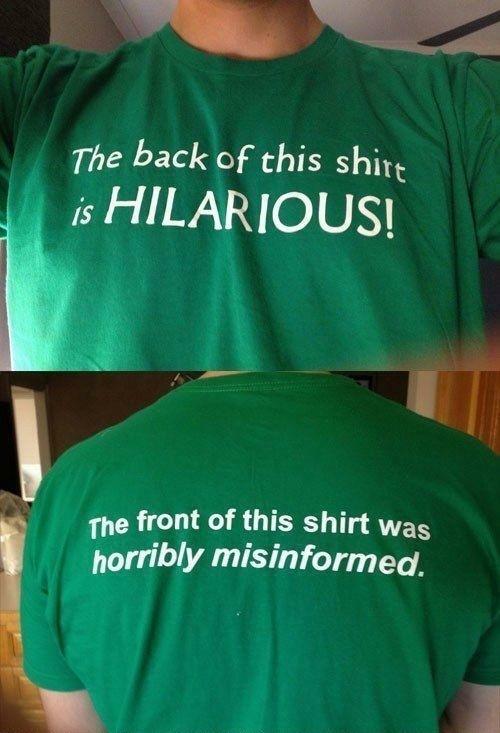 The back of this shirt is hilarious! The front of this shirt was horribly misinformed. The back of this shirt is hilarious! The front of this shirt was horribly misinformed.